See Our New Exhibits At World Ag Expo | JH Biotech Inc. See Our New Exhibits at World Ag Expo | JH Biotech Inc.
Join us for the 52nd World Ag Expo. The largest annual agricultural exposition in the country takes place February 12-14, 2019 at the International Agri-Center in Tulare, CA. Every year more than 1,500 exhibitors come together showcasing nearly every agriculture segment. Representatives from livestock, machinery, manufacturing, fertilizer, technology, and more will be brought together to discuss new products and industry insights. 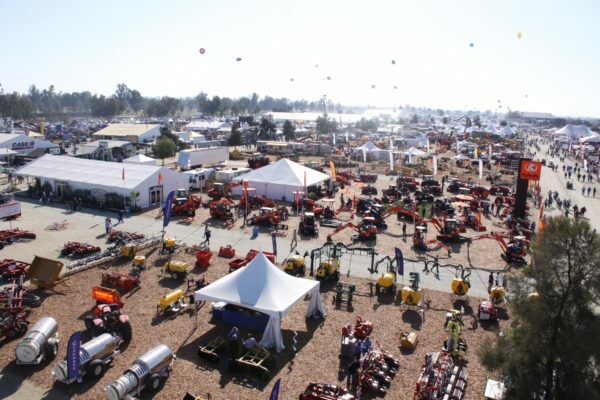 “World Ag Expo continues to provide the best platform for buyers and sellers to meet, greet, and grow the Ag industry,” says Jerry Sinift, International Agri-Center’s CEO. Last year, 106,700 attendees hailed from 49 states and 63 countries to attend. We will have two booths this year. Housed in the Farm Credit Dairy Center our animal nutrition booth will feature samples, tradeshow exclusives, and premier upcoming product line. Find us at booth #FCFC 6035. Meanwhile Building C will hold our plant products booth. There we’ll showcase new growing programs, catalogs, and a special display for our biological plant product line. Our plant product booth is located at booth #C3312-3313. For more information about the show or to purchase tickets visit their website. Or if you’re unable to attend but would like a copy of our World Ag Expo catalogs or programs, contact us.